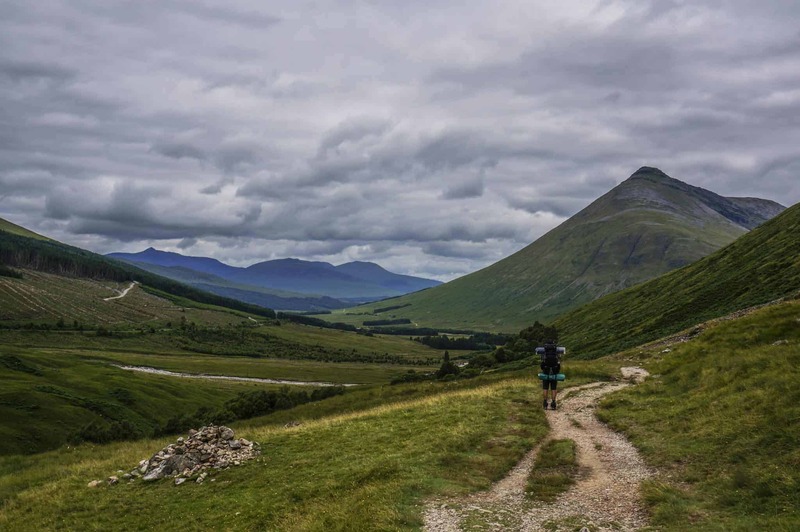 The West Highland way is one of the best long-distance treks in the world. The walk is filled with incredible views, quaint towns, and friendly people, and it’ll surely be a trip we never forget. 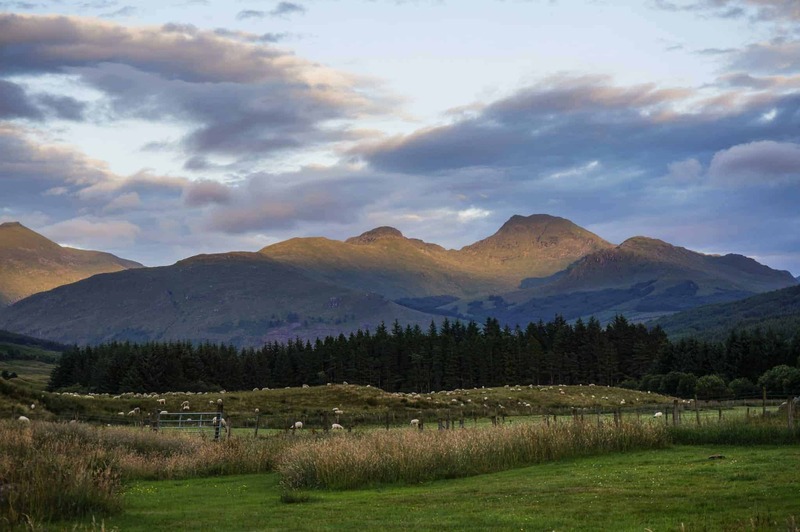 We camped along our West Highland Way adventure and highly recommend that you do as well. We’ve also published our packing list for those curious as to what they may need to bring to ensure they are equipped for this adventure. But what other recommendations do we have for those considering tackling the awesome experience that is the WHW? Here are our 10 essentials for hiking the West Highland Way. This will come as a surprise to no one, but it can rain a lot in Scotland. Those green pastures and hills are green for a reason. 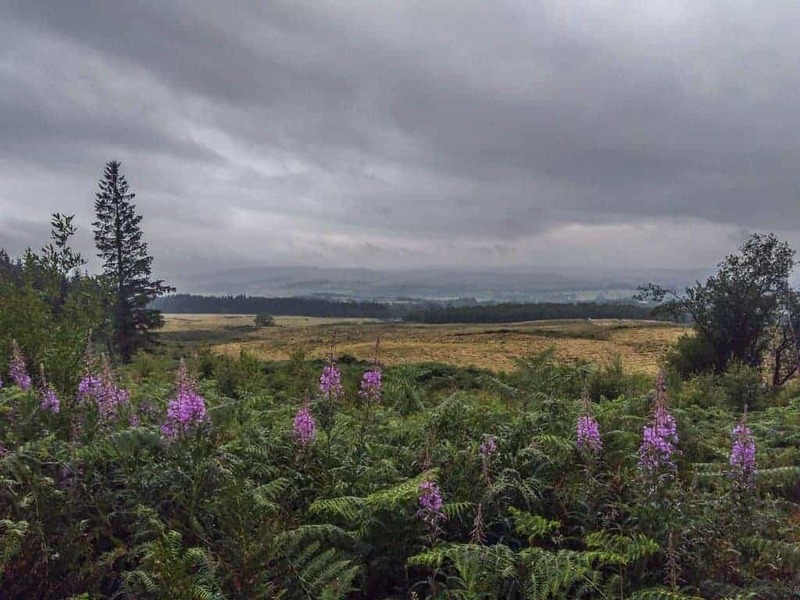 While the rainy weather is a quintessential part of the West Highland Way experience, you’ll want to be prepared for long days of hiking in wet weather. We highly recommend bringing a top notch rain jacket as well as rain pants to keep yourself dry on those inevitable days when you encounter a downpour. Additionally, a good fitting pack cover is essential for keeping your belongings dry when you’re walking through the elements. Inside your pack, we recommend keeping your clothes and sleeping bag in a dry bag (or large trash bags work well, too). This will ensure that if any water does get into your pack you’ll at least have dry clothes to put on when you’re damp and cold at the end of a long day of walking. Finally, you’ll want to be sure your tent’s rain fly is in tip-top shape as there is nothing worse than a leaky tent! Wet weather is quintessentially Scottish, but you’ll want to be prepared! As you’ve probably read in our West Highland Way Logistics post, you’ll have the option of taking either the bus or the West Highland train line for your return journey from Fort William to Glasgow. While the bus tends to be cheaper and faster, we’re here to tell you that taking the train is an experience not to be missed! 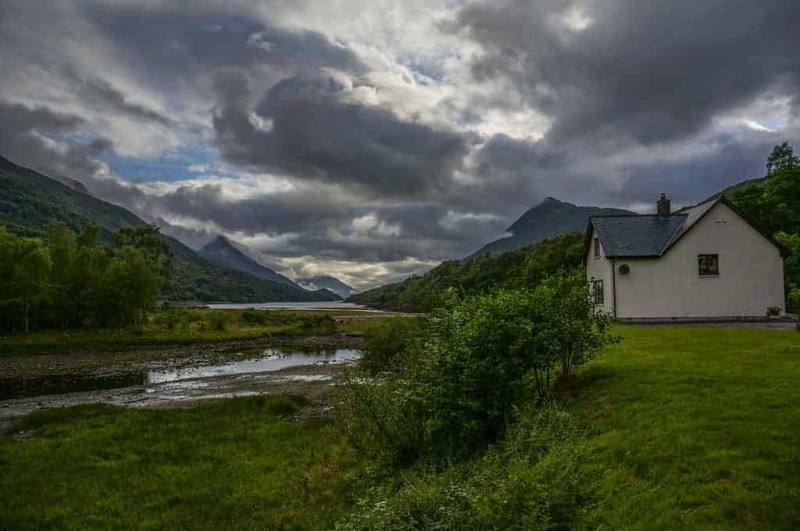 The line retraces much of the West Highland Way, and you’ll marvel at the distance you’ve walked while peering out at the stunning landscape from a cozy train car. Just be sure you book your tickets well in advance to avoid a sold out coach or expensive last-minute fares. Midges-the tiny biting insects that have a mythical reputation in the Highlands-are not to be underestimated. Prior to our walk, we knew that they could be an unpleasant annoyance on our walk, but we didn’t know just how bad they can be. This isn’t to say that you should abandon all hope of camping or enjoying a cold beer outside in the evenings. It’s just that you’ll want to be sure you are fully prepared for their presence. The first piece of advice we offer all prospective walkers is to invest in a midge hat, and bring clothes that provide full coverage of your skin. Ideally these will be lightly colored as midges are more attracted to darker colors. Additionally, we found Ben’s Insect Repellent bug spray to be a very effective repellent. Finally, the midges are at their worst at dawn, dusk, and whenever the weather is overcast and the wind is still. Any substantial breeze or sunshine will eliminate them completely, which is pretty awesome. However, make sure to have your midge hat and spray ready when the sun starts to set because they really do set in quickly! Following these steps should ensure that the midges don’t ruin your trip! 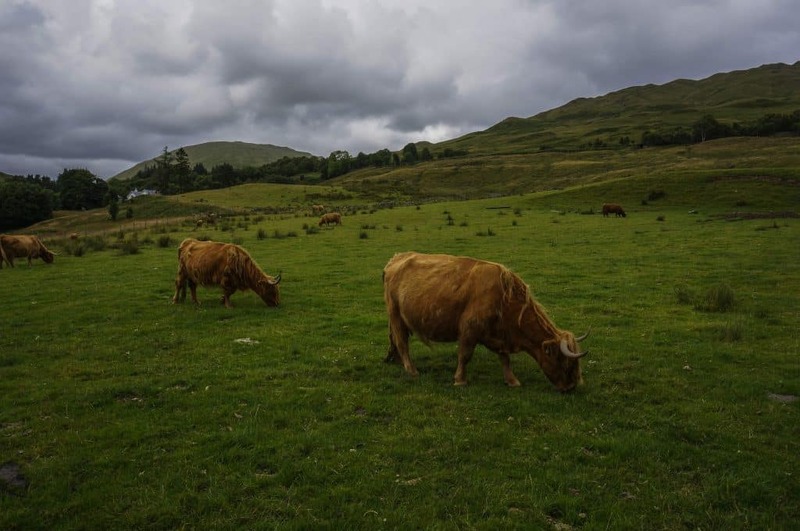 You’ll enjoy the beautiful Highland’s scenery much more without midges eating you alive! If you’re anything like us, you’ll spend hours before a trip planning out all the details of where you’ll stay, what you’ll do, and how you’ll get to every place you want to see. 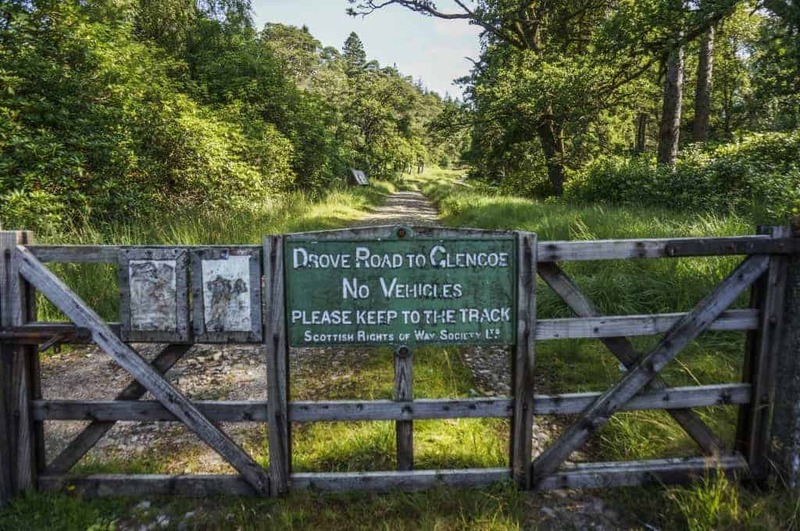 This type of planning is invaluable and will certainly set you up for success, but you also have to be open to changing those plans, especially on the West Highland Way. Weather, the way you’re feeling on a particular day, and even the time you start can all influence a changing itinerary when you’re out hiking the WHW. Because it has so many accommodation options along the way, changing plans is relatively easy. Got a late start and the B&B is full? No worries if you’ve got your tent and the ability to find the nearest campground. Feeling especially good today? Why not put in a few extra hours of hiking to make your next day a little more leisurely? The point is that being open to different possibilities will make handling the unexpected much easier, and allow to you enjoy your adventure to the fullest. 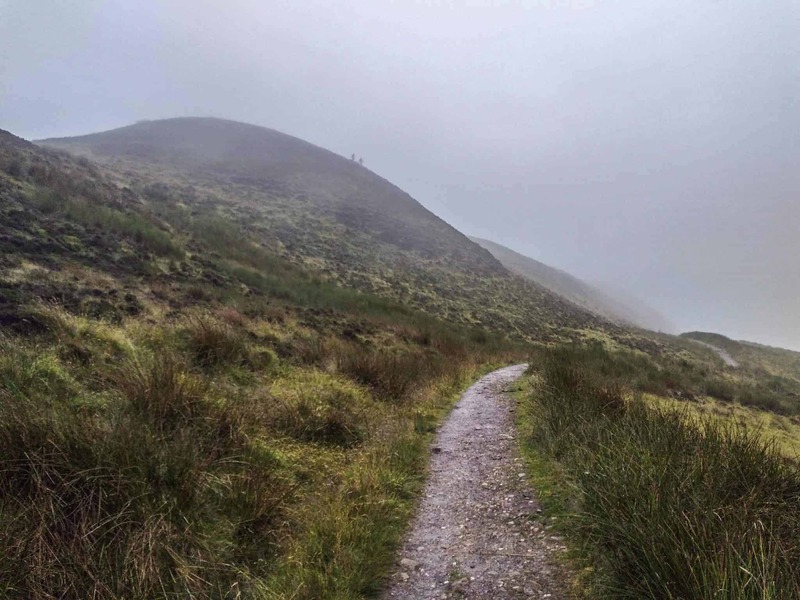 The West Highland Way contains a variety of underfoot conditions, from the neatly placed stones along former drover’s roads to the large boulders, intertwining tree roots, and muddy banks of Loch Lomond. This wide variety of trail types makes for perfect blister conditions. Just when your feet have toughened up to a particular condition, the trail changes, your boots rub differently, and those callouses you’ve built up over the past few days are of no use. To counter this, there are a few steps you can take prior to setting out to give your feet the best chance to withstand the West Highland Way. The first is to pack a broken-in pair of boots. There is nothing worse than unboxing your new pair of boots on the first day of a long hike. This will almost guarantee blister,s as they won’t be broken in enough to truly fit to your foot over the long hours of walking. Next, bringing several good pairs of merino wool hiking socks (our favorite are Darn Tough) will help to limit the moisture in your boots while also preventing odor and unnecessary chafing. Finally, a good first-aid kit complete with blister specific pads will help you be prepared when the inevitable first blister does show up. Stop and treat even the smallest hot spots right away to ensure that they don’t derail your next several days of walking! While the West Highland Way is a very well-marked trail, you’d be wise to brush up on your navigation skills prior to starting your walk. We’re partial to using GPS to navigate along the trail, but you’ll want to be sure you’ve brought your compass and a paper map as a backup. Spend some time before the walk familiarizing yourself with the map, the route, and how to use your compass. You’re unlikely to encounter any issues, but if you do you’ll sure be glad you were prepared! It’s important to know how to find you way on the trail! If you’ve brought the Trailblazer’s Guidebook along (and we highly recommend that you do), you’ll quickly notice that the description of each stage includes an approximate time for hiking. This is very valuable information because it will give you a sense of what your days will look like. This affords you the ability to plan ahead for things like arrival times, how early you need to start in the morning, and how long of a lunch break you can enjoy. The problem arises when you realize that the times quoted in the book can vary significantly from your actual experience. You may be hours ahead or you may be well behind the times provided by our friends at Trailblazer. There is nothing wrong with being faster or slower, but you must be able to understand your pace and then estimate the distances you’ll realistically cover in a given timeframe. It’s a good idea to note your timing when you’re out on your training hikes, but you’ll want to pay especially close attention on your first day or two hiking of on the West Highland Way. A little ahead of the pace? You’ll be able to adjust your plans accordingly (and maybe snag an extra hour of sleep!) A little behind the pace? You’ll know to leave a bit earlier, or at least plan on slightly longer days on the trail. You may also want to pay attention to how steep inclines and declines impact your pace, and use the guidebook’s elevation profile to plan accordingly. The important thing is to know yourself, and be able to accurately estimate the time it will take to cover a given distance. This will help you stay relaxed and happy throughout each day on the trail. 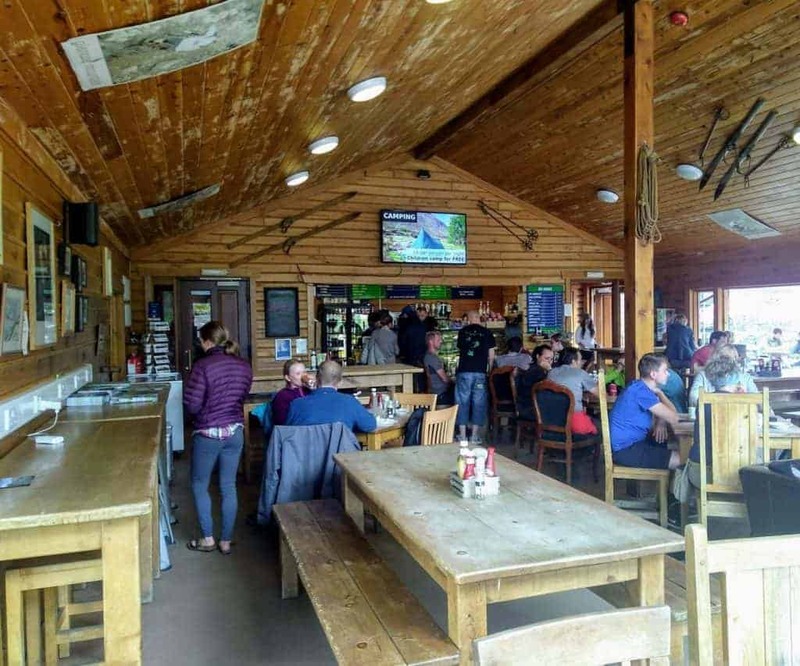 As you progress along the West Highland Way, you’re likely to start to recognize some familiar faces along the trail and in your campgrounds. Take advantage of this and make some new friends! You’ll surely meet people from all over the world and develop a sense of camaraderie over your shared experience on the WHW. Compare notes from the trail and plans for the next day over a pint or two with a new friend, and you’ll certainly find the experience of walking the West Highland Way more enriching. 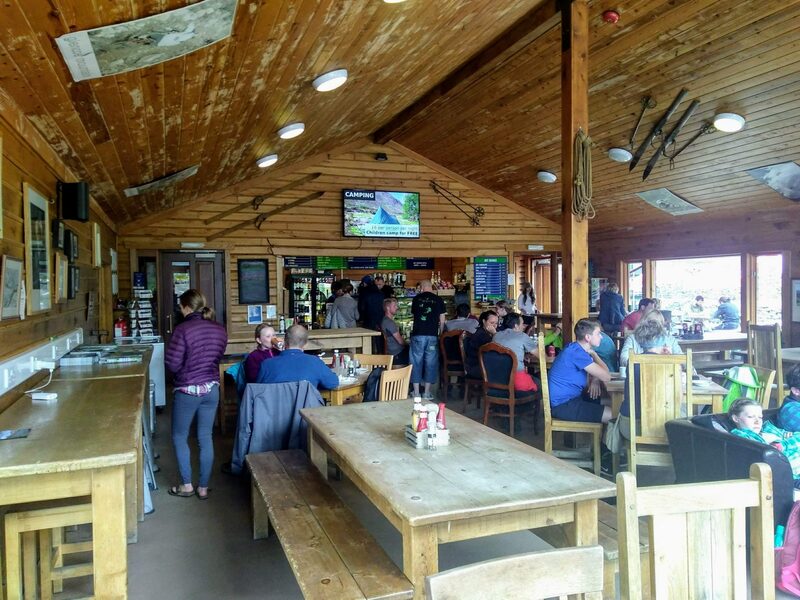 Enjoy the lively atmosphere at many of the stops along the West Highland Way. The West Highland Way is a great walk for those looking to camp along the way. Campsites are abundant, reasonably priced, and have great facilities. You can easily walk the entire route camping each night, just like we did. However, we would also highly recommend spending at least one night out of your tent. You can save this for the last night in Fort William (what we did), or save it for that torrential rain storm that sneaks up on you. Either way, there are incredibly hospitable guesthouses, fantastic Airbnbs, and lovely hotels along the route and it would be a shame not to experience at least one of these on your walk. The West Highland Way is one of the most popular long-distance walks in the UK and the world. Thousands of hikers descend on the Highlands each year to enjoy the spectacular views, friendly people, and lovely lochs that Scotland has to offer. Given the popularity of the walk it is essential that walkers do their part to practice Leave No Trace principles when hiking and camping. Simply being aware of your impact on this great trail will do wonders to ensure it;s around for future generations of walkers! Be sure and leave the trail as pristine as you found it. Enjoyed reading our 10 Essentials and ready to keep planning your own West Highland Way adventure? Be sure to check out our entire series on the West Highland Way and learn everything you’ll need to know to prepare for your trip! West Highland Way Logistics – Don’t forget the small details! How to Find All of Your Campgrounds on the West Highland Way- Free downloadable GPS waypoints!